Learn to spin – join us for a wonderful retreat which includes two days of spinning tuition with Alison. Special Offer.. £150 off per person!! 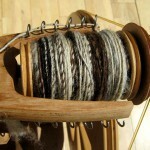 As part of our Craft Retreat this year we are offering two days of spinning, instead of other optional craft sessions. We have had such a demand for a spinning courses this year that we decided to add this extra date! Join us from September 22nd-29th 2018, for a wonderfully relaxing week and learn to spin! -use traditional Scottish methods, forage for local plants as well as some ancient imported dyes. End the week learning or improving your hand spinning skills with two days of spinning tuition with Alison. 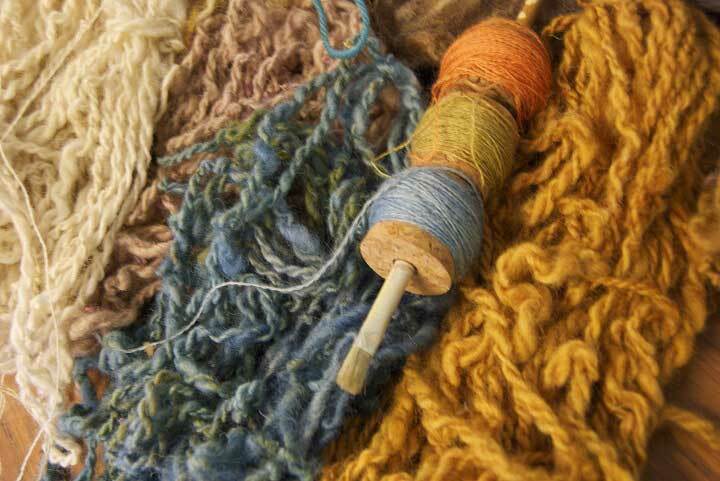 Learn to spin using the fleece you have naturally dyed, creating your own beautiful original yarn. We have a number of different types of spinning wheels for you to try, including one and two treadle models, giving you an idea of what suits you, if you decide to go on and buy your own spinning wheel. We will also guide you through types of fleece and how to wash and sort fleece, knowing which fleeces are more suitable for spinning and what makes a good fleece and a bad fleece as well as tips on buying fleece. We pick all our guests up from Inverness and Inverness can be reached by train, plane and bus. If you are travelling from overseas, you can fly directly from Amsterdam to Inverness, as well as flying to London, Edinburgh and Glasgow, then taking the train or flying from London. Prices with the discount start at £795 (to share a twin room) and £895 (single room). If you would like to find out more about our spinning week please get in touch!